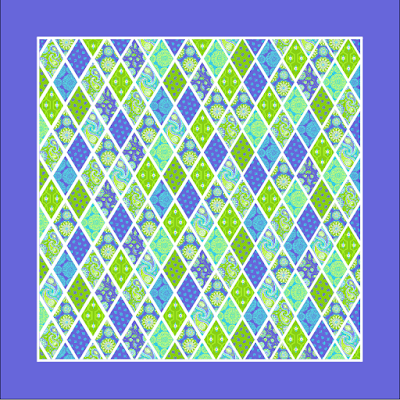 An old Nana saying – "blue and green should never be seen without a colour in between", and also Kate's comment (that she can't get to post properly) on seeing the options. Of course, Olivia was keen on the bright ones! 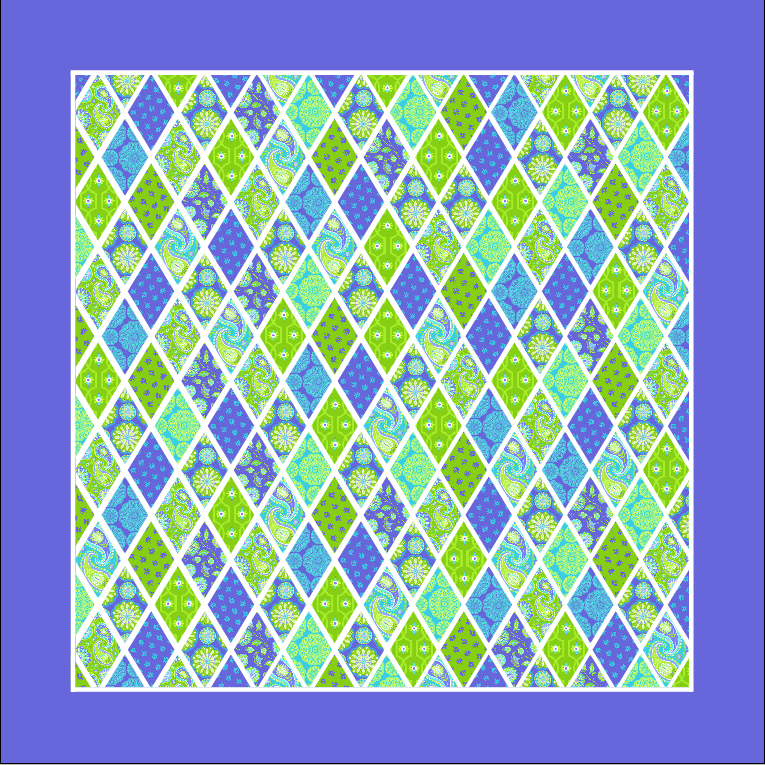 You know I love bright colours,but I quite like the blue and green.I also prefer the square pattern with borders. We are very pleased to hear of Jude's engagement.